Everything a good spy needs to know about secret codes, disguises, shadowing and observation skills. This essential guide to spying is packed with useful skills and tips, such as shaking off a trail, scrambling secret messages and creating amazing disguises. 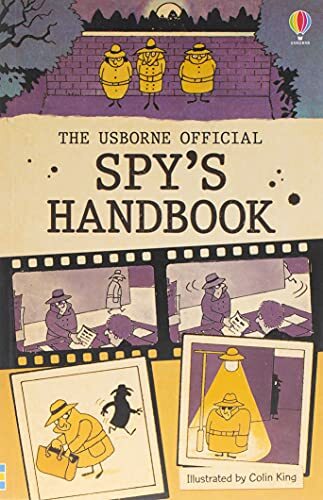 A brand new edition of the Usborne classic, sure to delight a new generation of spies. Everything a good spy needs to know about secret codes, disguises, shadowing and observation skills. This essential guide to spying is packed with useful skills and tips, such as shaking off a trail, scrambling secret messages and creating amazing disguises. A brand new edition of a much-loved Usborne classic, sure to entertain and delight a new generation of spies.